It is often said that football mirrors society, and in the case of Kazakhstan’s current champion FC Astana, the adage definitely applies. Much like the city of Astana itself, the club FC Astana lacks history and traditions; unlike Kairat Almaty, or Shakhter Karagandy—both clubs with long histories and rich traditions—FC Astana has a synthetic feel to it. The club, which was founded only six years ago in 2008 as Lokomotiv Astana, was created to represent Kazakhstan’s new capital in the Kazakh Premier League. From the very beginning, the club was funded by the state, and as the name Lokomotiv suggests, the team was sponsored by the national rail service Kazakhstan Temir Zholy (KTZ). FC Astana is ready to built on domestic success. As part of the restructuring of FC Astana, the club also officially severed its ties with the KTZ in 2014, and instead is now sponsored by the state owned holding company, the National Welfare Fund Samruk-Kazyna, which owns, either in whole or in part, many important companies in the country, including the national rail and postal service, the state oil and gas company KazMunayGas, the state uranium company Kazatomprom, Air Astana, and numerous financial groups estimated to be worth $78 billion. Samruk-Kazyna in many ways operates like other gigantic post-Soviet holding companies, and illustrates the continued involvement of state structures in post-Soviet capitalism. FC Astana therefore is not only a public relations arm of Samruk-Kazyna, but indeed as Kaisar Bekenov pointed out, but is also an important tool with which to promote the image of Kazakhstan in international competitions. Also, in 2013 the club became part of the Astana Presidential Sports Club, a multi-sport federation, which acts as the parent organization of various sport clubs in the capital including: the ice hockey team Barys Astana, the Basketball Club Astana, the boxing club Astana Arlans, and the bicycle team Astana, which regularly competes in the Tour de France and featured notorious cyclist Lance Armstrong as a team member in 2009. 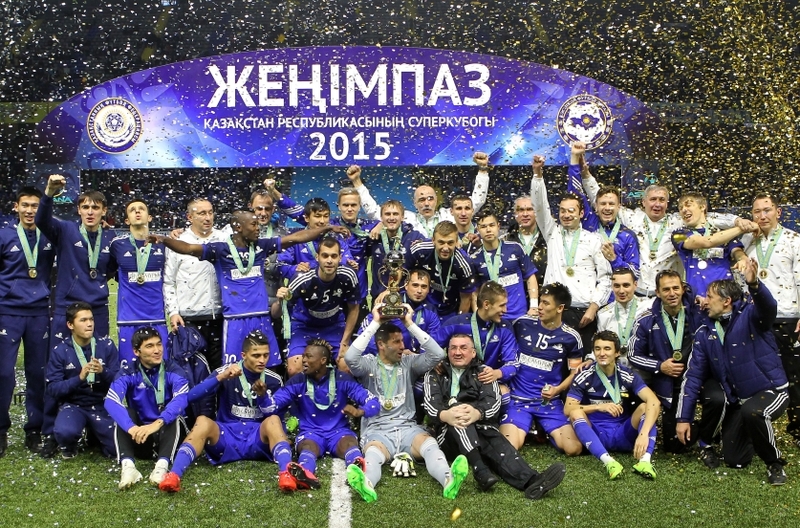 In addition, , the club has what is considered the highest player budget in the 2015 Kazakhstan Premier League. FC Astana’s squad, which according to transfermarkt.de is worth €14.5 million is considered the most valuable in the league, and includes several intriguing foreign players such as the 20-year-old Serbian defensive midfielder Nemanja Maksimović, who was purchased from the Slovenian club NK Domzale for €2 million, and the 21-year old Ghanaian striker Patrick Twumasi, who currently leads the club in scoring with six goals. The most interesting Kazakh prospect is Georgi Zhukov, who was born in Kazakhstan, but has spent much of his life in Belgium, and has also represented Belgium on the U-19 level. Zhukov is currently on a loan deal from the Belgian club Standard Liege. Despite the futuristic stadium, and the limitless resources available to the club, FC Astana has, however, failed to win the hearts and minds of football fans in Astana. 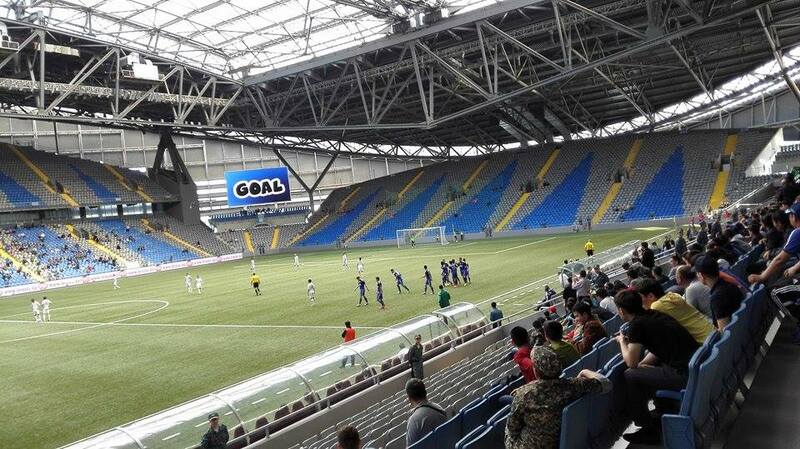 Many games involving FC Astana in the Kazakh Premier League are played in front of empty ranks in the Astana Arena. In 2012, for example FC Astana’s average attendance was 5081, and although attendance is growing, the Astana Arena’s 30,000-seat capacity means that games in Kazakhstan’s Premier League often exude a feeling of irrelevance. At the same time, however, 23,650 fans attended Astana’s second round qualification victory against the Slovenian team NK Maribor. 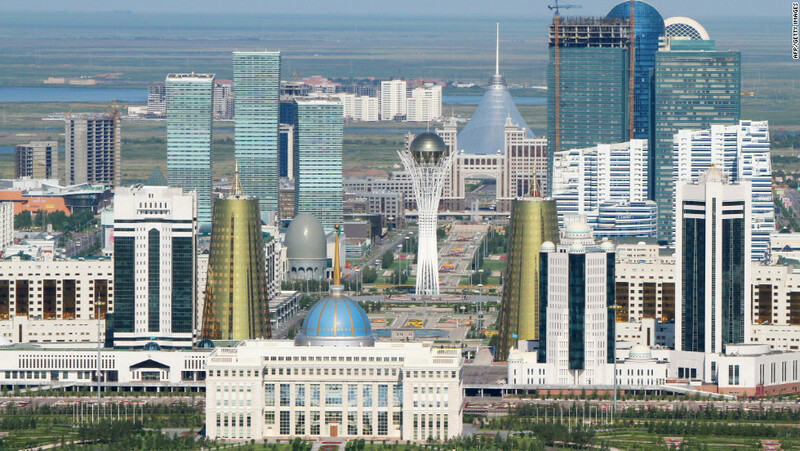 This highlights the importance of international success to the football project in Kazakhstan’s new capital. FC Astana will not only have to continue to be successful within the country , but should also, at the very least, reach the group stage of the Europa League in order to build a football brand that is recognizable not only in Kazakhstan, but also abroad. Kazakh state organizations will continue to ensure that FC Astana receives all the funds necessary in order to prosper, as FC Astana in particular, and sport in general, have been identified by state authorities as the paramount marketing tool of the young nation state. So the government of a country with the same President is backing a football club with money from taxpayers… don’t they have more important issues? 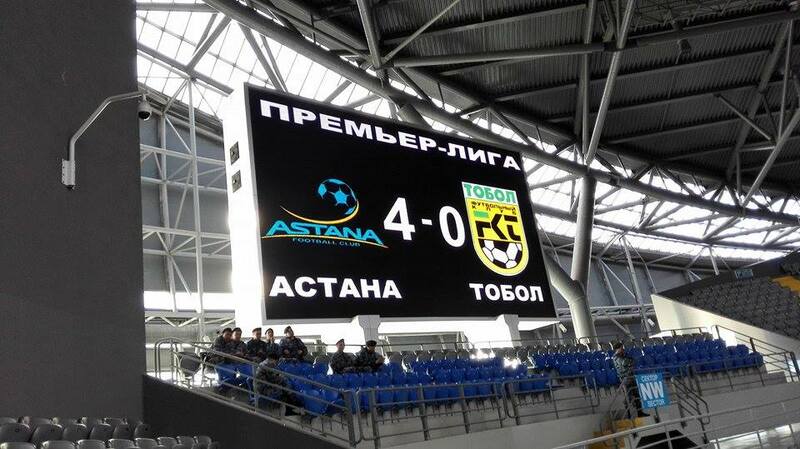 Interesting story, but sorry, I am not a fan of FC Astana. Go HJK! this was not necessarily a piece to support FC Astana, but rather an article that was supposed to introduce Kazakhstan’s current Champions League qualifier. You are of course absolutely right about the waste of tax money, but at Futbolgrad we try to write informative pieces, with as little bias as possible in order for readers to form their own opinions, as you have done. Thrilling game against HJK. Tough loss for you, sorry. As for the govt. backing, yeah it’s a little ridiculous, but I would say that most teams are supported in some form or other by the govt. (maybe not so much as in Astana’s case) but still there are worse things to do with the money. Kazakhstan is a central Asian country, why they are even allowed to qualify for champions league, that means that Kyrgyzstan, Turkmenistan, Uzbekistan should also be in champions league, wtf central Asia means Central Asia, Europe means Europe, nothing against these countries but it does not make sense. Like Turkey, Kazakhstan, has a small piece of territory in Europe, which made it possible for them to switch to Europe.